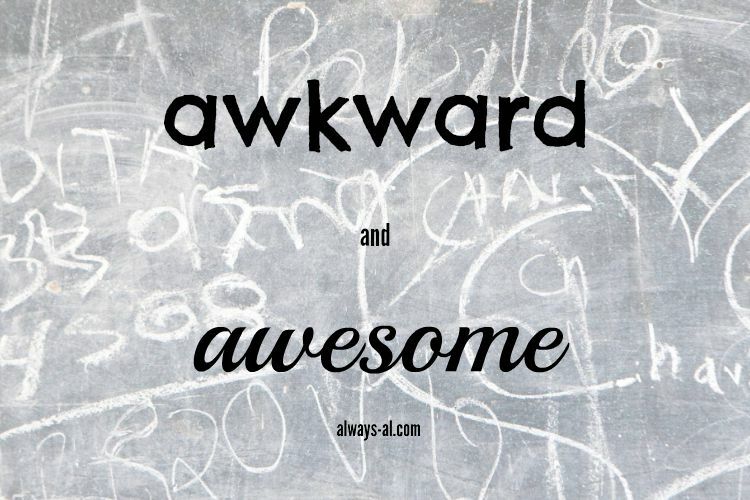 It's the final Monday of the month, and it is once again time for Awkward & Awesome! This month has been full of really fun stuff, which you can always catch on my Instagram (@alexandrastacey). The weather here has been all over the map, and because of that, we haven't been able to do as much outside as we would like. But it looks like June is going to be nice, warm and sunny! I apologize in advance for so much wedding talk. It is coming up so soon, and I'm basically obsessed. This weekend was my shower and Bachelorette party in Rochester, and this Saturday is my Norfolk Shower/Bachelorette. I seriously am LOVING seeing all my friends and family, and it just makes me so excited for July 2. -The thermostat at my office. It will be 80 degrees out, and will be 40 in the office. Vice versa if it is very cold out! I sit with both a heater and a fan in my cubicle! -I’m at a loss for what wedding gift to get for Dave and my dad. Neither of them are really “gift” people, so this is going to take all the thought I have! Any suggestions? -Wearing hearing aids while flying. I am still having a hard time identifying myself as someone who is hard of hearing. I did a lot of research prior to my trip this weekend, and I think I'm going to write a post on travelling with hearing loss. -The AMAZING weekend I just spent with my family and my best girls. I can’t begin to thank each one of them enough for their wonderful love and generosity. I can't wait to hang out with them again in a little more than a month! -The fact that I love using closed captioning on the TV. I guess I never really knew or understood how much dialogue I was missing when I watch TV. Even when I wear my hearing aids, it just makes it so much easier, and more enjoyable. Also, Dave likes it too! -My co-worker sent me this amazing rap video the other day. It goes out to all my yoga pant/legging loving ladies out there!! -Uhhhhh 1 more month until #teamwhywedding? I can’t believe we are already here!